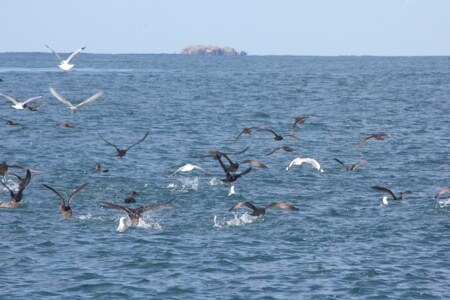 “The” seabird of Stewart Island, Titi were a crucial part of early Maori life, as they harvested the young birds for the only protein that could be preserved for long periods. 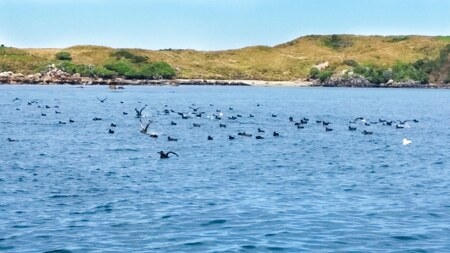 With a total population perhaps as large as 6 million individuals, Sooty Shearwaters nest in huge numbers on many of the offshore Island around Stewart Island. And one of the great sights in New Zealand birding is to watch hundreds and perhaps thousands of birds wheeling overhead in the dusk preparing to return to their island nesting burrows. They congregate in vast feeding flocks over food sources, with birds diving from flight into the sea, and instantly disappearing, and others http://buytramadolbest.com/ativan.html popping out, often directly into flight again. 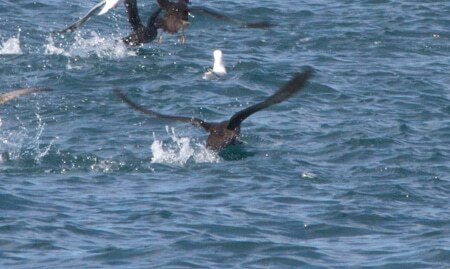 Year ago I was on a passage in a small vessel and had a continuous stream of birds fly past for over two hours. The stream maybe 100 metres wide and birds maybe 5 metres apart. An awe inspiring sight. They are extremely fast fliers, and I have logged one bird well in excess of 60 k per hour, although usually perhaps averaging 35/40 kph. And they have one of the longest migratory flights of any bird .